8 Wednesdays beginning February 6, 7-9pm. Great engaging conversation on the all things Jewish in 2019! 4 week series. 1 hour a week. Option 1: 4-Tuesdays in Feb, 6:30-7:30pm. Soul Mates draws upon millennia of Jewish wisdom, from the mystical to the down-to-earth, allowing individuals of all ages and walks of life to explore the intricacies of love and marriage from a Jewish perspective. The course will delve into a diverse array of Jewish sources—biblical, Talmudic,halachic, Kabbalistic, and Chasidic—seamlessly weaving together the philosophical, the spiritual, and the practical. Option 2: 4-Tuesdays in Feb, 7:30-8:30pm. This February, you’ll have that chance. Soul Maps, investigates Tanya, the fundamental text of Chassidic thought written by Rabbi Shenur Zalman of Liadi. During each session, you will receive insight into your inner world and you will discover new strategies for overcoming obstacles to change and progress. You’ll learn to resolve guilt, conflict, and confusion, and to traverse life’s journey with joy, purpose, and direction. 6 Sundays beginning February 10, 3:30-5:00pm. Understand why Judaism cares so much about Israel and discuss the challenges it faces today. Topics include History, Zionism, Faith, Wars, Secularism, and Anti-semitism as they relate to Israel. 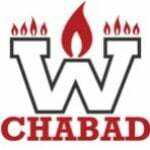 NEW: A Chabad class at the Humanities! A text-base class, studying the deeper-meaning of Jewish tradition. Interested in Jewish study but these times don't work for you? Interested in a different topic? Be in touch with us! !